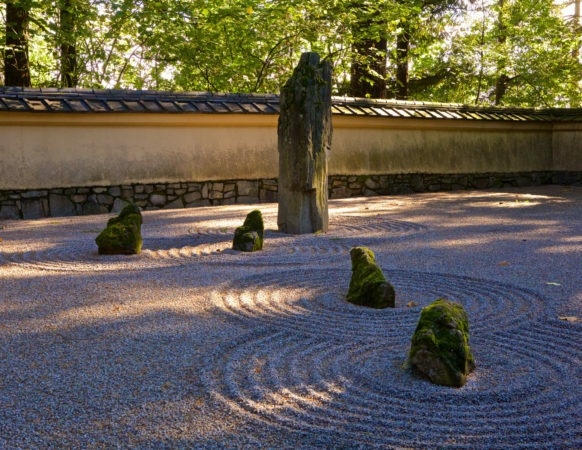 The Flat Garden [hira-niwa] is an example of how gardens in Japan have continued to develop the dry landscape style of the karesansui over time. 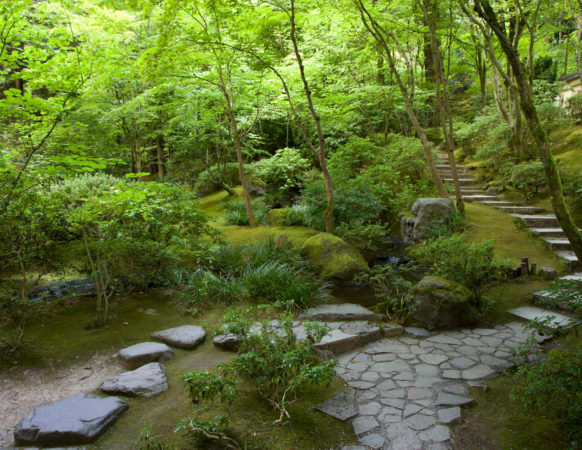 In a garden such as this one, the designer works to balance the flat planes of the ground with the volume of stones, clipped shrubbery, and trees. This creates a depth of space. 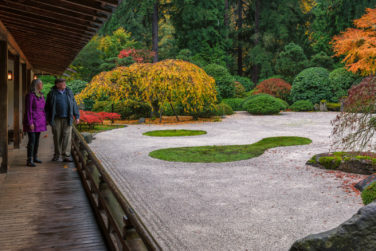 The Flat Garden is meant to be seen from a single viewpoint, framed by the sliding shoji doors if viewed from inside the Pavilion or by the veranda itself if viewed from outside. This enclosed view can be appreciated in much the same way we would appreciate a landscape painting — perhaps a view of a shoreline across the water of the raked gravel plane. 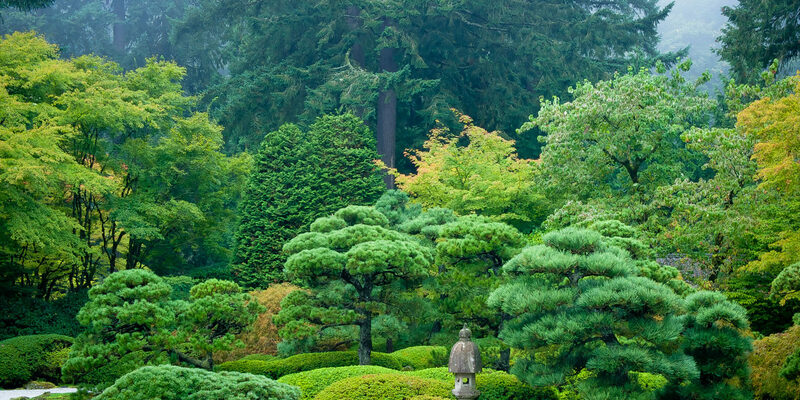 Mountains and hills are depicted in the rounded shapes of the azalea shrubs. The Flat Garden was carefully designed to highlight the distinctive beauty of all four seasons. The laceleaf Japanese maple is more than a century old and represents autumn, while the weeping cherry signifies spring. Winter is represented by the black pines and summer by the cool “water” of the raked gravel. 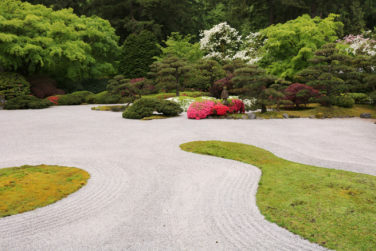 The Circle and Gourd Islands in the sea of white gravel symbolize enlightenment and happiness.